What is this ‘sinfully delicious’ you speak of? Bear with me please, I certainly understand ‘delicious’ but am struggling to understand why something delicious should be sinful. Yes, even dessert! This rustic pie makes a few healthy choices along the way and ends up with as close to a tonic as you would find in the dessert kingdom. At the risk of chasing away my readers with shear tedium, I will give little sidebars on the healthy choices I made and why. This recipe makes two tarts. Whole wheat flour includes the germ and the bran and that’s where the nutrients generally hide. “White” whole wheat is made from a softer, albino wheat, that lacks the tannins of the red bran of the regular wheat. That is why it has a milder flavor and is more appropriate for the non-bread uses of flour: what I call the flakey-cakey family. Stone-grinding ensures that the flour does not heat up excessively while grinding and lose nutrients. I recently read that — yes, I did a double-take too — there is no evidence that fat is fattening. Also that all those decades of advice telling us to avoid saturated fat were based on very flimsy evidence. So let us rejoice in butter and lard, people. And please do not scorn the wondrous coconut. As a matter of fact the supposedly heart-healthy butter substitutes are way worse for you than butter itself, while also (coincidentally?) needing more processing than good old fashioned butter, and so just happen to line various pockets more. I did not sweeten the crust at all. 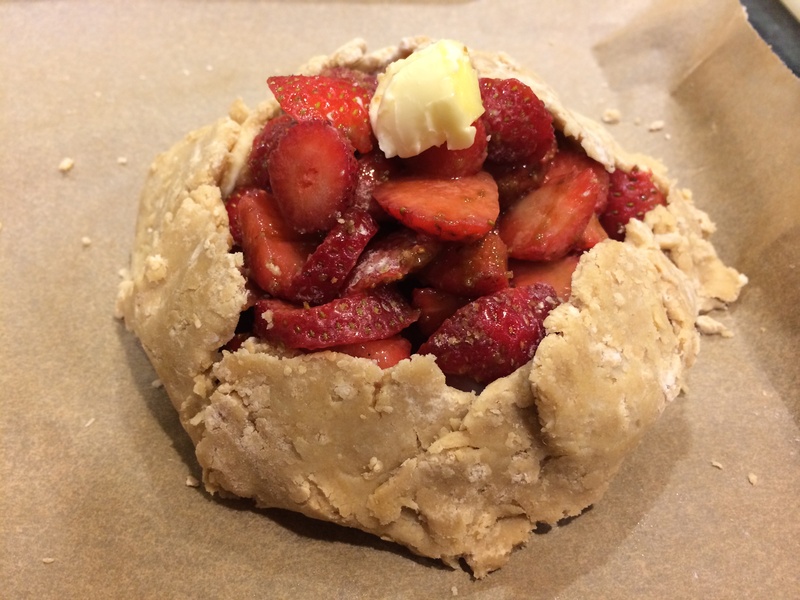 Most pie crust recipes ask for a tablespoon or more of sugar. I desist. I don’t see the point: the filling is sweet, and I like the contrast with the crust. Sugar is metabolized by the liver and this makes it especially bad — worse than an equal amount of any other type of calories — for reasons I only dimly understand. Yes, worse than fat, the bogeyman from the last generation (Us Gen-X’ers would like our own bogeymen, please). But watch this or read this if you want to delve into it more. In general, with sugar, the less refined the better. This kind of sugar has some of the molasses left in it. Clearly this is dessert so it is bound to have some sugar in it, but everything in moderation! First, let us make the crust. A good flaky pie crust uses the following principles: First, you handle the flour as little as possible to avoid gluten from building up. Second, you keep things cold, for a similar reason; so you avoid touching with flour with your hands and their warmth. 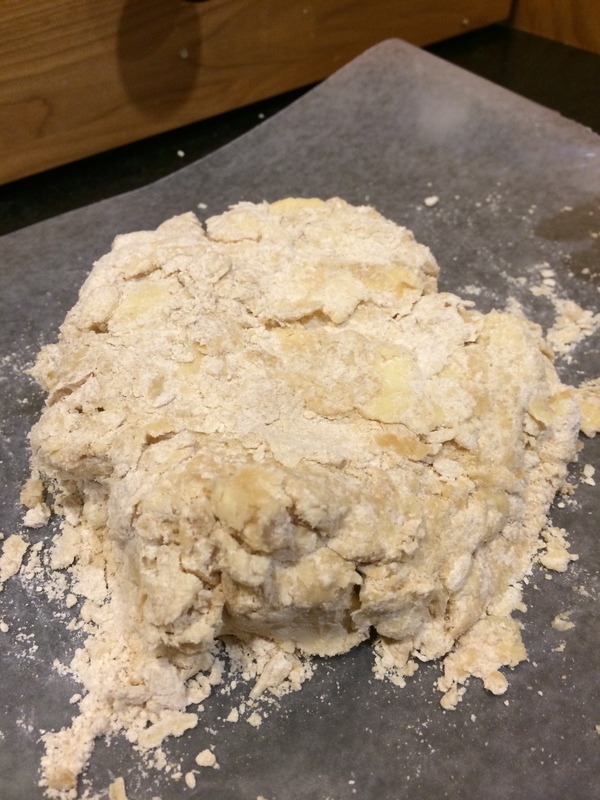 Third, you ‘cut’ the fat in, rather than knead it in, and leave it in little pea-sized bits till the end, because while cooking those bits will melt and leave holes in the pastry, and your client will go — mmm, flaky! 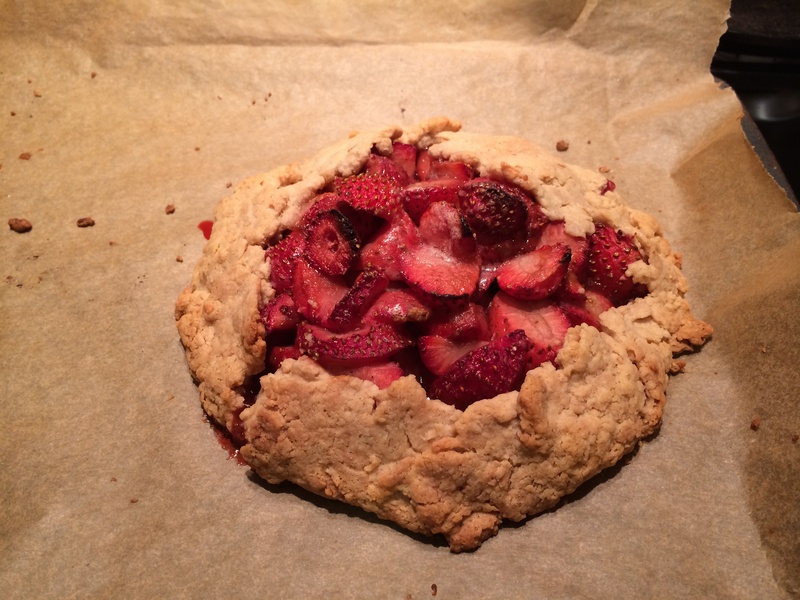 So bread-making is all about developing the gluten while pie crust is all about NOT developing the gluten. One is spongy and the other is flaky. This is how a single word can hide whole reams of tradition and science. 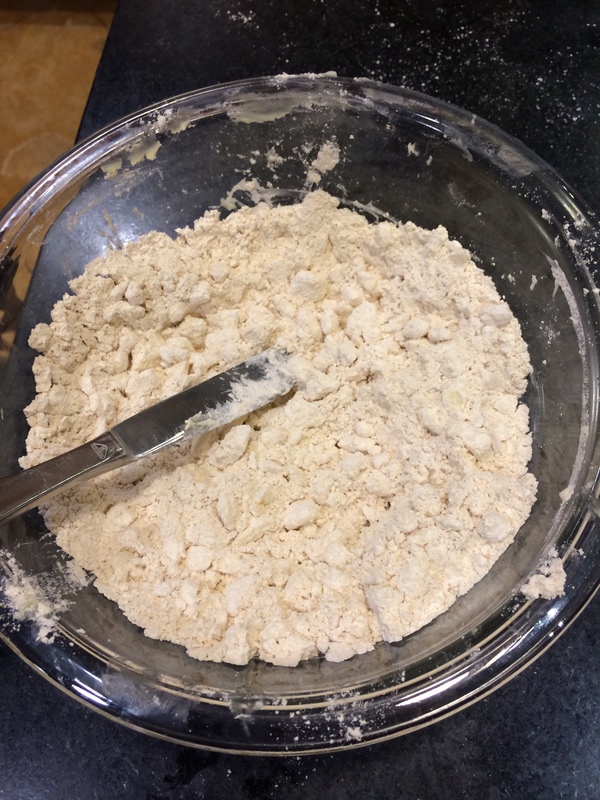 Start with all the flour and the salt generally mixed in in a large bowl. Get your stick of butter out of the fridge, and unwrap it only partially, so that you are holding it by means of the waxed paper wrapping, and keeping things cool. 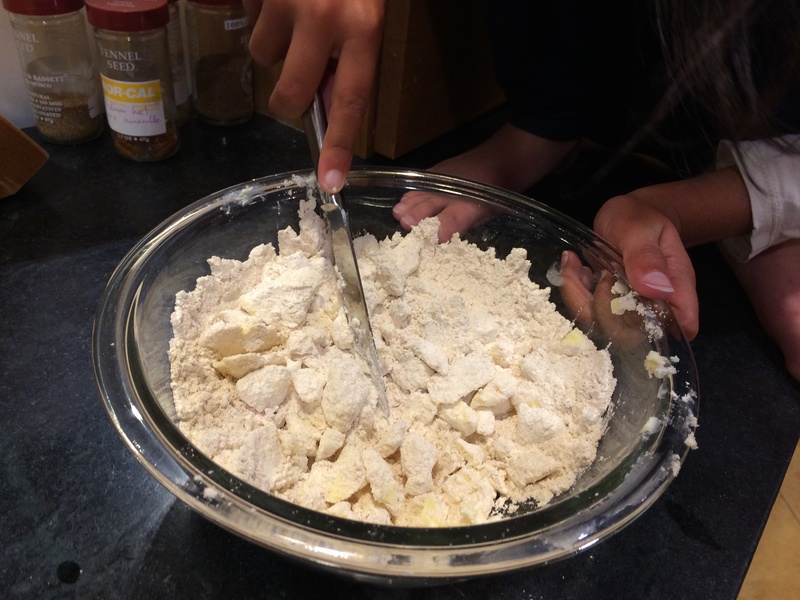 Using a paring knife, slice off bits of butter into the flour until the entire stick has been sliced off. Stir the butter bits around to coat with the flour. Then start cutting at the butter bits with a knife. 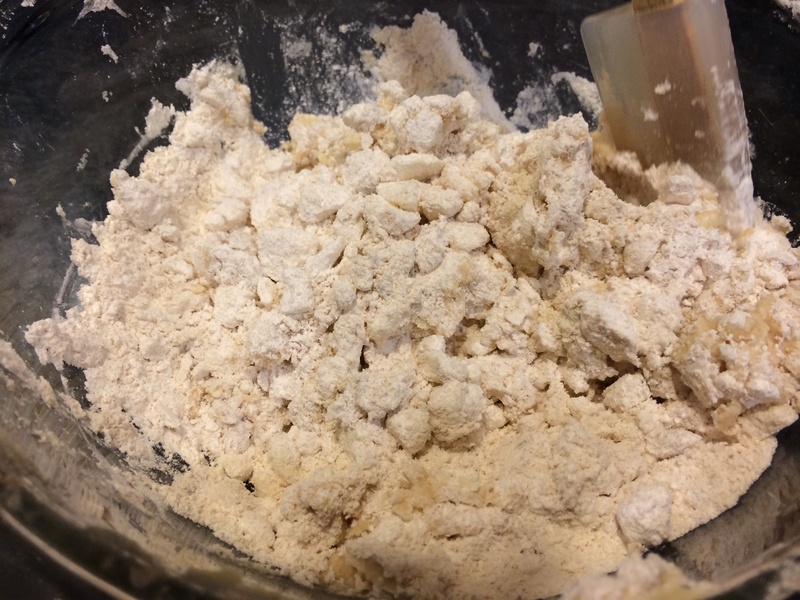 This process can take about 10 minutes, but when you are done, the flour should all be touching butter or touching flour that is touching butter. Sorry that is the best way to describe it. It certainly does not look wet nor gathered together at all. The largest butter piece should be about the size of a pea. Now add 2 tablespoons of refrigerated water sprinkled over the top. Using a spatula start moistening the flour and pressing it together into a mass. Remember, no touching and no kneading! The flour will readily press together as soon as it is moistened, but will remain rather shaggy. Collect it all in a sheet of plastic wrap or waxed paper, and using those flaps, press it together some more, until you can wrap it up into a parcel and put it into the fridge to chill. Great. 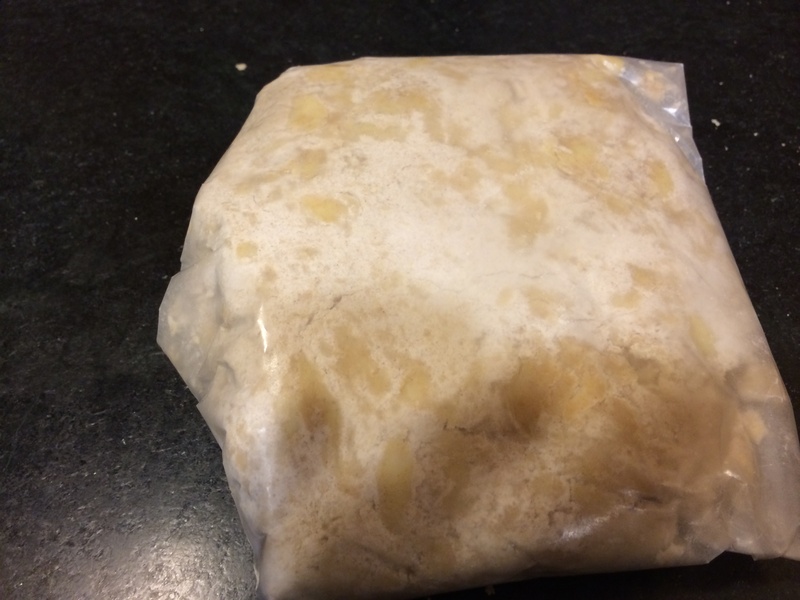 Now the dough is chilled and hard and impossible to roll, now what? Before rolling, leave it out for about half hour. 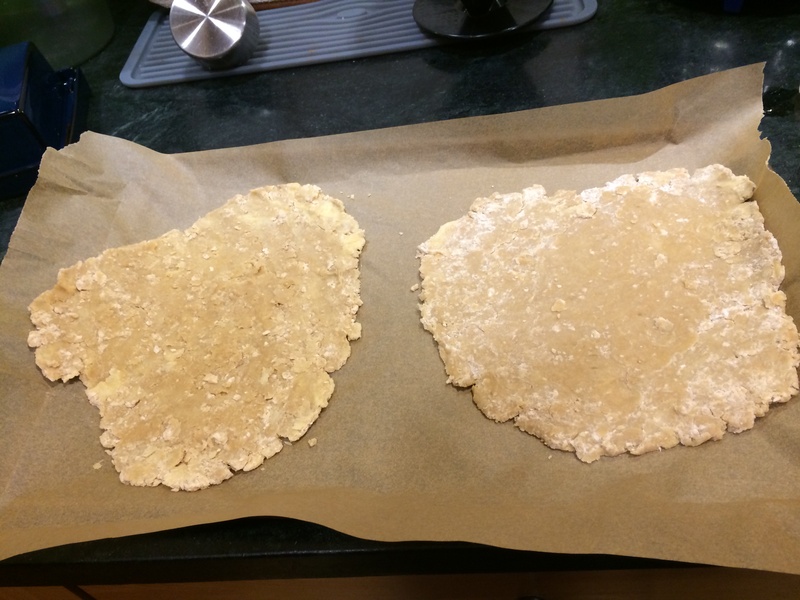 Cleanly slice it into two halves, then start rolling each into a rough circle. The major, major problem with rolling this type dough is that it is sticky and squelchy with the butter bits. Two techniques come to our rescue: one, try rolling it between two sheets of waxed paper or plastic wrap. 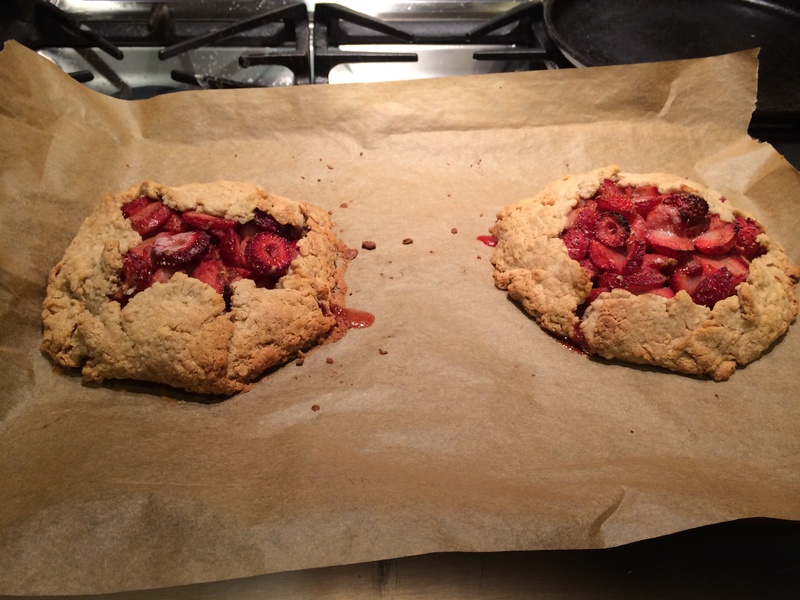 Two, sprinkle dry flour on the surface where necessary but do this sparingly. All right, now you have two rough circles. Lay them out on a cookie sheet. 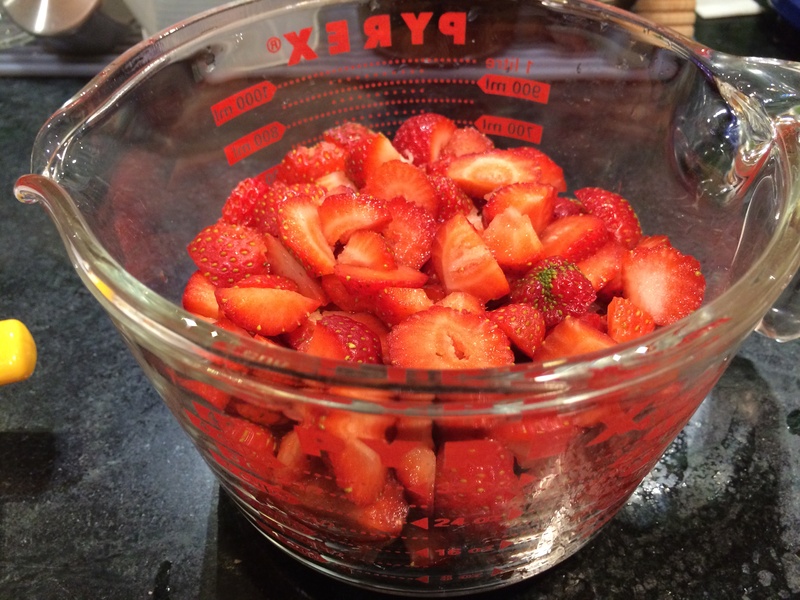 Rinse, de-stem and slice the strawberries. 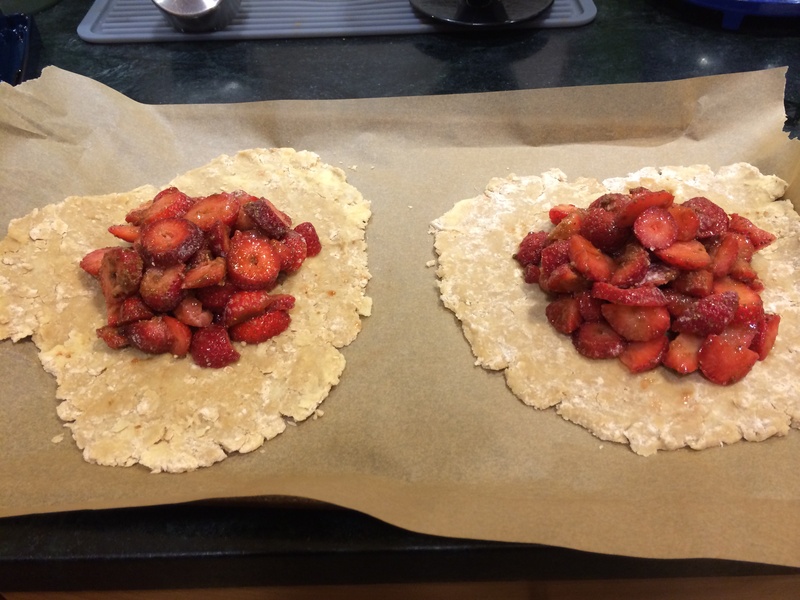 Since I am doing a strawberry pie I clearly didn’t exactly ‘choose’ strawberries. But strawberries are an incredibly healthy fruit with a number of antioxidants, second only to other berries and walnuts. Gently mix with the sugar and the flour. Now pile them in the rough center of each of the pie crusts. 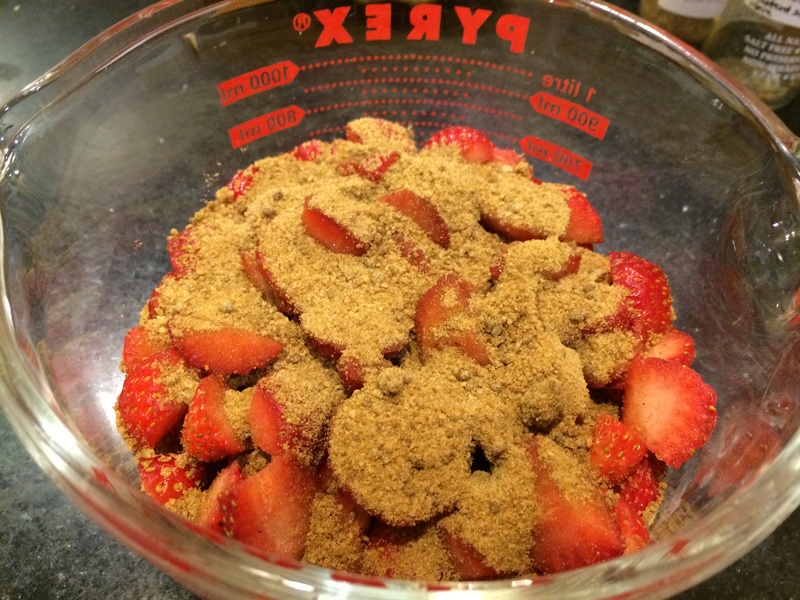 Fold the edges over the pile of strawberries to partially cover them. Dot each open center with a dab of butter. Now bake as they are in a 400 F oven for 25 minutes or until the edges are browned.